.40 Cal Blowgun Target Dart 25 Per Pack | BUDK.com - Knives & Swords At The Lowest Prices! 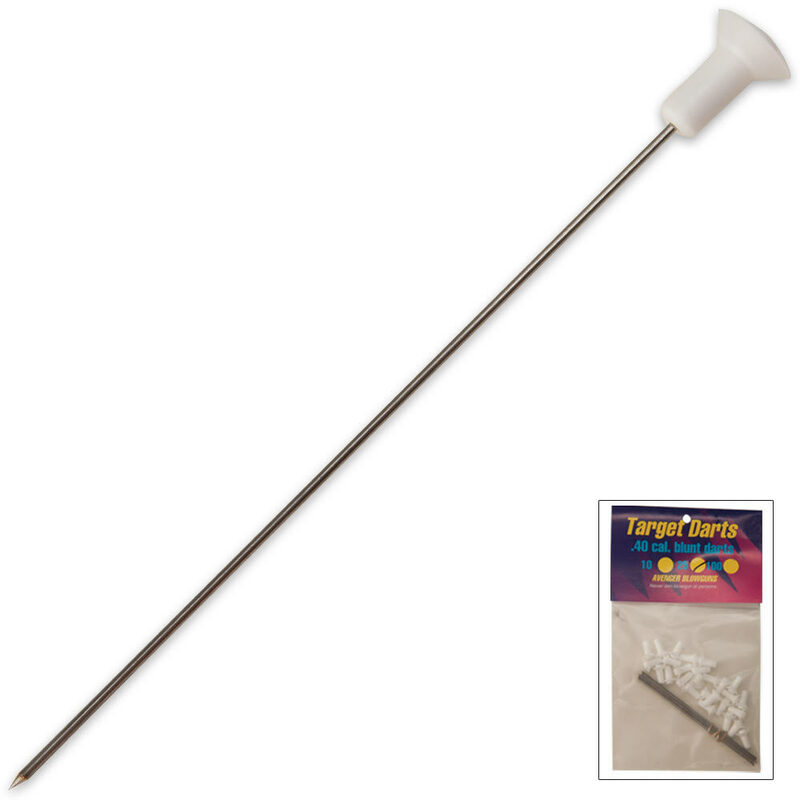 These 4" sharpened needles with safety cones are specifically sized to fit your .40 Cal. blowgun. These darts are the best.I have a nice blowgun,and tried it out for the first time.I shot it at the spokes on my bike to see if the dart would stick in the wall,and i hit the back tire. It went through both sides and flatened my tire. I have to buy a new inner tube,but i know that they work. RonnShaw(Smyrna,Delaware) .